(Indian Spice: Turmeric) is used to treat many health conditions. It is believed to have Anti-Cancer properties. Bioavailability is how much of a medication reaches the veins. A treatment given by IV directly into a vein is maximum potential of 100%. Food or medication taken that needs to go through the digestive system cannot reach 100% potential and different items have different percentages of this potential. Curcumin in its natural state has a low potential for bioavailability and therefore effectiveness. The powder is hard to absorb by the body in this state. This is still the case with many brands of Curcumin in pill form. While Curcumin even in supplement form, it is believed to have the highest percentage of bioavailability (absorption), by taking it with an oil based supplement, or food for maximum possible effectiveness. Recommendation of oil based supplement or food is suggested if any other brands of Curcumin (Turmeric) supplements are taken. Spear, Samuel A., et al. "Natural compounds as potential treatments of NF2-deficient schwannoma and meningioma: cucurbitacin D and goyazensolide." Otology & neurotology: official publication of the American Otological Society, American Neurotology Society [and] European Academy of Otology and Neurotology 34.8 (2013): 1519. Shanmugam, Muthu K., et al. "The multifaceted role of curcumin in cancer prevention and treatment." Molecules 20.2 (2015): 2728-2769. Naksuriya, Ornchuma, et al. "Curcumin nanoformulations: a review of pharmaceutical properties and preclinical studies and clinical data related to cancer treatment." Biomaterials 35.10 (2014): 3365-3383. Ye, Mingxiang, et al. "Curcumin promotes apoptosis by activating the p53-miR-192-5p/215-XIAP pathway in non-small cell lung cancer." Cancer letters 357.1 (2015): 196-205. Schroeder, Rebecca Dunbar, Laura S. Angelo, and Razelle Kurzrock. 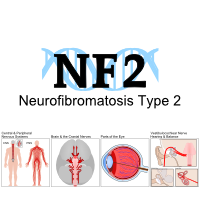 "NF2/merlin in hereditary neurofibromatosis 2 versus cancer: biologic mechanisms and clinical associations." Oncotarget 5.1 (2014): 67.